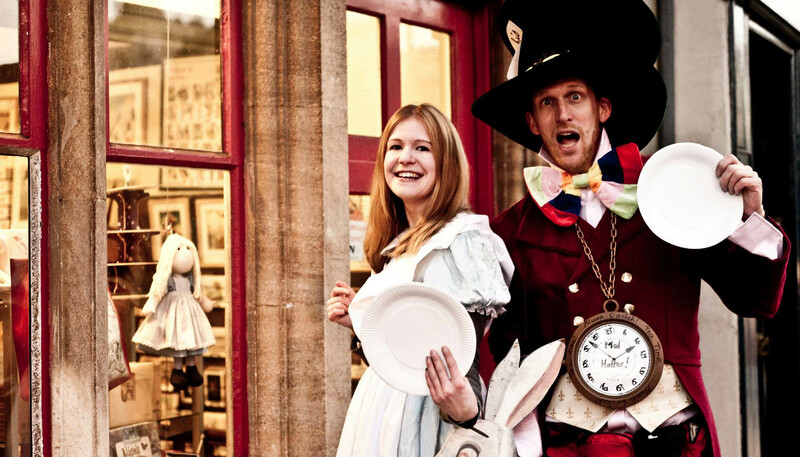 Oxford's Mad Hatter guide offers bespoke entertainment in the theme of 'Alice in Wonderland' to celebrate special events like birthday parties, anniversaries etc. Alternatively, you can simply book Mad Hatter and/ or Alice to make your family visit to Oxford a memorable one. Prices dependent on numbers and if catering included or not. Ask for a quote!